When Does Stress Cause Heart Disease? A lot of evidence now suggests that emotional stress, of certain types and in certain people, can increase the risk of chronic heart disease, and can even trigger acute cardiac crises. Evolutionarily speaking, emotional stress was a protective mechanism which helped keep our distant ancestors alive. When our great, great, great (etc.) grandfather walked over a rise and suddenly saw a saber-tooth tiger, a surge of adrenaline prepared him for either fight or flight as he considered his options. But in modern times, neither fight nor flight is the appropriate, socially correct reaction to the kinds of stressful situations we typically encounter these days. (Neither fleeing from nor punching your annoying boss, for instance, is considered proper.) But we still have the same genetic makeup as our ancestors. As a result, that same adrenaline surge accompanies stressful situations, but can no longer be channeled to its natural conclusion. Instead of releasing our tension in a burst of physical exertion, we are forced to suppress it into a clenched-teeth smile and say, "Sure, Mr. Smithers, I'll be happy to fly to Toledo tomorrow to see about the Henderson account." It appears that these kinds of unrequited, internalized, fight-or-flight reactions if they occur often enough, may be harmful to our cardiovascular systems. Furthermore, it appears that the harm more often occurs in individuals who have not devised healthy ways of dissipating the anger, frustration, and fear that result from the emotional stresses we often encounter in modern life. Is All Emotional Stress Bad? Not all emotional stress appears to cause harm. It has been observed for years, for instance, that many executives with high-stakes jobs seem not only to relish their pressure-cooker positions but also to remain quite healthy until old age. Recent studies have shed some light on this phenomenon. So it appears that the kind of stress that goes along with feeling boxed-in, with no control over your own destiny or your own choices, is a particularly debilitating variety of emotional stress. On the other hand, if you can maintain that sense of control, job-related stresses (and other stressful situations) can become exhilarating rather than debilitating. Furthermore, very severe episodes of emotional stress—stress that shocks one to the bone—can be particularly harmful, and can even precipitate acute cardiac conditions. Examples include the death of a loved one, divorce, loss of a job, business failure, being the victim of violence, exposure to natural (or man-made) disasters, or serious conflicts within the family. Do All People Respond the Same Way to Emotional Stress? Obviously, people respond differently to all kinds of stress. Indeed, quite a bit of evidence suggests that it may be the individual, rather than the stress itself, that is the real problem. People with Type A personalities (time-sensitive, impatient, chronic sense of urgency, a tendency toward hostility and anger, competitive) are at a higher risk for coronary artery disease than people with Type B personalities (patient, low-key, non-competitive, time-insensitive). In other words, given the same stressful situation, some will respond with frustration and anger, the rush of adrenaline and the fight-or-flight mode, and some will react in a much more even-tempered way. If you have this sort of mindset, then retiring, changing jobs, or moving to Florida are not likely to significantly reduce your stress levels—your stress will still be there whether it is imposed externally, or whether you have to manufacture it yourself. 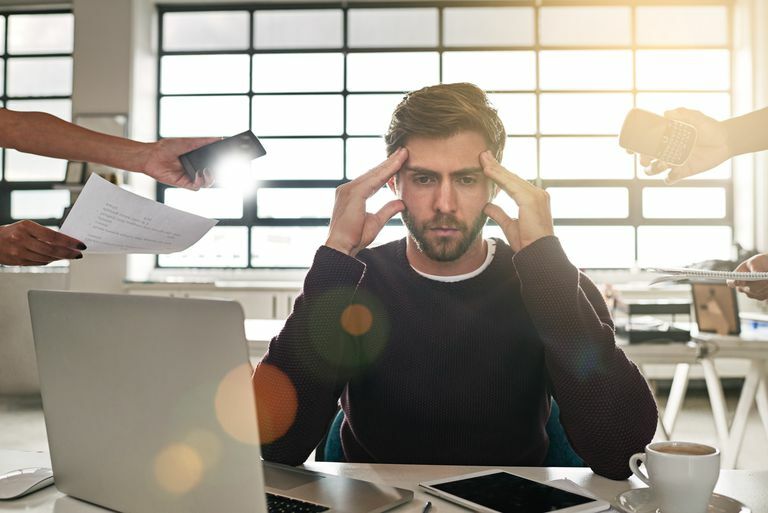 Reducing stress levels for these individuals, then, requires not the complete elimination of all stressful situations (which is, of course, impossible), but a change in the way stress is handled. Type A’s have to learn to become more B-like. While emotional stress is related to heart disease, not all emotional stress can be avoided, and not all of it is "bad." How you respond to the stress is extremely important in determining how much risk the stress you experience every day imposes on your heart. Read how emotional stress can lead to heart disease and what kinds of heart disease it can cause. Pignalberi, C, Patti, G, Chimenti, C, et al. Role of different determinants of psychological distress in acute coronary syndromes. J Am Coll Cardiol 1998; 32:613. Shekelle, RB, Gale, M, Ostfeld, AM, Paul, O. Hostility, risk of coronary heart disease, and mortality. Psychosom Med 1983; 45:109. Is Digoxin Still Useful in Heart Disease? Can Viagra Be Dangerous for Men With Heart Disease?